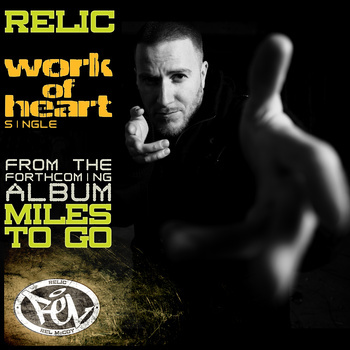 Hip Hop Headz (H3): Relic - Work of Heart + Beat Tape "For the Record"
Relic - Work of Heart + Beat Tape "For the Record"
Toronto emcee/producer/singer/studio engineer Relic blessing us with a dope single from his upcoming album, Miles To Go. Peep the track below, also if you like that check out the remix by Muneshine. Oh yeah, he just released an entire beat-tape too...Relic getting prolific with the releases!